1. The tour of the USS Arizona Memorial is a must see for most of our visitors. The Navy and the National Park Service conduct the free, first-come, first-served tours. It is a busy location and we therefore suggest visiting them some time during the morning hours to secure a space on the ferry ride to the Memorial. Both the Arizona and Memorial are under heightened security. Visitors are only allowed to bring in a camera or video camera (no camera bags). No purses, bags, backpacks, fanny bags, diaper bags, or other items that offer concealment are allowed in the attractions. There is a “bag check” in the parking lot of the Arizona Memorial that you can leave a bag for a nominal fee. It is not recommended to leave belongings in your vehicles. 2. Take a drive up to the beautiful North Shore. Dole Pineapple Plantation is a popular stop where you can take a narrated train ride through the pineapple fields, find your way through the world’s largest maze and learn about crops traditionally grown in the islands. Continuing on the scenic drive will take you through the Historic Haleiwa Town. This ex-sugar plantation town is popular for its art galleries, interesting shops restaurants and shave ice. Just past Haleiwa Town is the Waimea Valley Audubon Center. Enjoy easy access to rare and endangered Hawaiian flora and fauna in lush Waimea Valley. This center offers hundreds of acres of strolling paths and hiking trails, world-class botanical gardens and rich archaeological sites. The drive will then take you to famous surf beaches like Waimea Bay (home of the famed Eddie Aikau Surf competition, which involves waves 20 feet and higher during the winter season), Banzai Pipeline (home of the famous Pipeline Surf Competition) and Sunset Beach Park (great to catch a beautiful summer sunset). 3. Hanauma Bay Nature Preserve is Hawaii’s most famous spot for snorkeling. It is a sunken volcanic crater formerly a playground for Hawaiian royalty. Snorkelers can enjoy a rainbow of reef inhabitants, colorful schools of fish and other sea life. The park is open every day except Tuesday. Arrive early, as parking is limited and fills up quickly. 4. 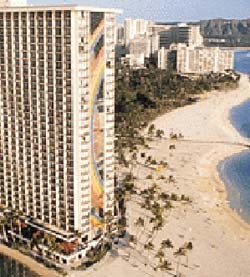 Take a day or night or both to the famous Waikiki. Shopping, restaurants, nightclubs and hotels galore in this world famous visitors mecca. 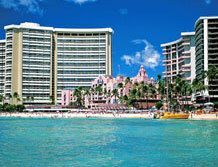 Stroll down the famous 2-mile stretch of Waikiki Beach that offers a variety of ocean activities. 6. The Polynesian Cultural Center is spread over 42-acres in Laie on Oahu’s North Shore. It is designed to celebrate the people and culture of the Polynesian islands, which range from Hawaii, Tonga, Tahiti, Samoa, New Zealand, Fiji and the Marquesas Islands. The center skillfully blends education with entertainment. Visitors to the center will get a taste of the music, dance, food, clothing, shelter, arts and crafts and cultural belief systems of the Polynesian people. 7. Take a breathtaking drive through the mountains to our East Side. There are three options through the middle of the island, although the Pali Highway offers a more memorable detour. Off the Pali Highway is the Nuuanu Pali Lookout. The lookout is a scenic point at the head of Nuuanu Valley where Kamehameha the Great ended the bloody battle of 1795 where he was victorious. Test your wind stamina at Nuuanu Pali, where periodic wind gusts make it difficult for visitors to walk to the lookout point. Continuing on the drive to the east stop by at Lanikai Beach. Here you will find a half a mile of sparkling white sand and pristine waters for swimming, kayaking or relaxing. 8. A day of shopping! 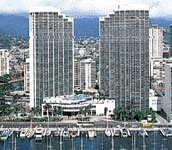 The Ala Moana Center is Hawaii’s premier shopping and dining destination with over 240 stores and venues in a unique indoor/outdoor environment. The International Marketplace has been an island tradition for years upon years. With over 130 carts, shops and artisan stands, this open-air setting in the heart of Waikiki sits under a century-old Banyan. Or try the Aloha Flea Market at the Aloha Stadium, which is the biggest swap meet, garage sale, flea market and crafts fair in Hawaii. It has been a running event for over 20 years and attracts about 900 vendors and sellers. The Aloha Flea Market is open on Wednesdays, Saturdays and Sundays from 7:30 a.m. to 3:00 p.m.
9. Downtown Honolulu, with its diverse ethnic influences and unique historic landmarks, is worth at least a day trip. Built in 1882 for King Kalakaua, Iolani Palace is the only restored royal palace in the United States. Until 1893, when the United States government overthrew the Hawaiian monarchy, this Renaissance-style building was the official residence of King Kalakaua and Queen Lili’uokalani, Hawaii’s last two monarchs. Guided tours of the palace are available Tuesday through Saturday from 9:00 a.m. to 2:00 p.m. Reservations are recommended. Bishop Museum is Princess Bernice Pauahi Bishop’s gift to the world. It is the largest museum of natural and cultural history in Hawaii and the Pacific. There are many facets to the museum including a planetarium, traveling exhibits, guided tours, demonstrations and live performances. The King Kamehameha Statue located in front of Ali’Iolani Hale pays tribute to Hawaii’s warrior king. Standing 8 feet tall, the statue depicts Kamehameha in his royal garb, including a helmet of rare feathers and a gilded cloak. The spear in his left hand serves to symbolize the kingdom’s willingness and ability to defend itself from hostile nations. His right hand, however, is extended in a welcoming gesture of aloha. These are just a few sights that downtown Honolulu has to offer. 10. 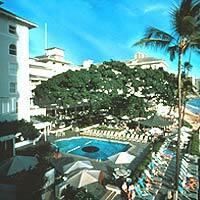 Hawaii offers a multitude of popular ocean activities. Companies like the Ko Olina Cat offer Snorkel and Dolphin Sails (Whale Season mid-December thru April) on the Leeward Coast, where playful dolphins call home. Beautiful waters and reef offer excellent snorkeling. Experience the thrill of surfing! Surf lessons are a popular activity on the island whether it is learning from a surfing pro or in the safe hands of firefighters. Either will provide a memorable experience. Enjoy the ocean waters by paddling to a secluded island or through sea turtle territory on a guided kayak tour! Paddling a kayak is a good way to let everything go and work off a little tension.